Stylish and modern! 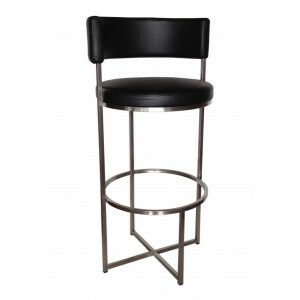 The “Wing” bar stool has a long wearing Micro Fibre Leather seat pad and back on a sturdy brushed stainless steel frame. Its sleek modern lines make it ideal for relaxed casual applications as well as more refined décors.